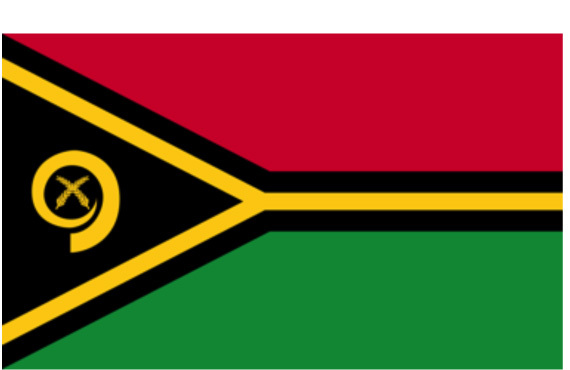 The Rise of Vanuatu | The International Cricket Hall of Fame. The cricketing world is very familiar with the recent fast and dramatic rise of Afghanistan in the world rankings which saw them snag a spot at the 2015 World Cup. Throughout the tournament they may have been the underdogs but their courage and determination saw them become a crowd favourite. Is a similar path on the cards for one of Australia’s near neighbours Vanuatu? After the devastation of Cyclone Pam earlier in the year which left much of Vanuatu devastated it’s great to see their cricket team doing so well on the world stage. Over the past few weeks Vanuatu joined Botswana, Suriname, Cayman Islands, Guernsey, Fiji, Saudi Arabia and Norway to contest the World Cricket League Division Six championship in England. Though the tournament was won by Suriname Vanuatu proved to be a growing force finishing the tournament in third place. To proceed up the world rankings to division 5 Vanuatu did need to finish first or second however this cannot take away from their rapid rise up the ranks already. Heading into the tournament Vanuatu had won 14 of their previous 17 matches since 2008. This included an 11 match winning streak from 2010 to 2013 which saw them rise from Division eight to Division six and from a ranking of 43rd to 35th. They are currently the second ranked nation in the East-Asia group behind Papua New Guinea.